The Adventure Aquarium is a state-of-the-art aquarium on the waterfront in Camden, New Jersey, just across the Delaware River from Philadelphia. This winter, adults can practice yoga in a unique location – in front of Shark Realm at Adventure Aquarium in Camden, N.J. 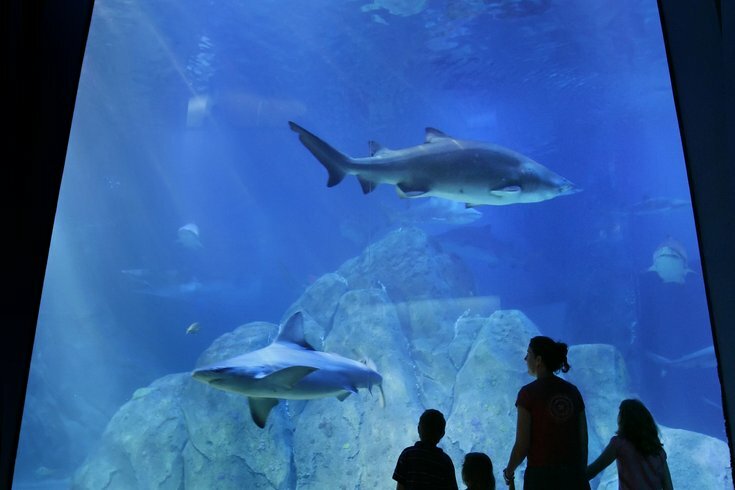 The aquarium is home to the largest collection of sharks on the East Coast. On Sunday, Jan. 28, at 10 a.m., a yoga-certified biologist will lead the 75-minute class. Those 18 and older are invited to unwind through exercise, then explore the aquarium to learn about sea turtles, hippos, sharks and more. There are 8,500 aquatic species throughout the two million gallons of water. An aquarium and yoga combo ticket, which includes free parking, is $39. A yoga-only ticket is $25. They can be purchased here.